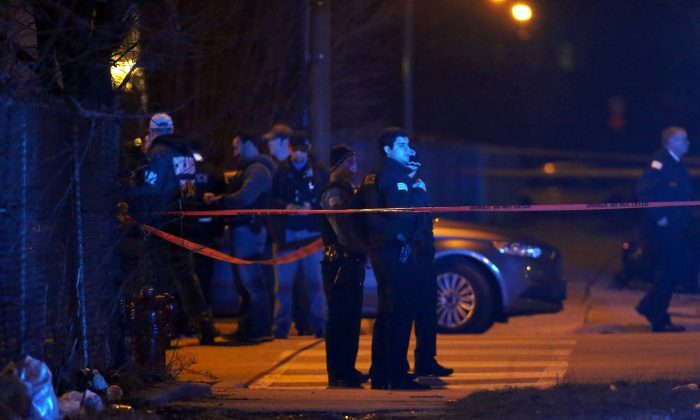 At least 46 people were shot, five of them fatally, in Chicago over the past weekend as the violence plaguing the city over the summer has carried over to the fall, the Chicago Tribune has reported. A 17-year-old girl was killed in the Back of the Yards neighborhood on Saturday at around 12:30 a.m., Chicago police told ABC7. She was identified as Naome Zuber, a senior at Curie High School, who was planning to study criminal justice. Zuber was shot while she was a passenger inside a vehicle that was heading to a birthday party with three other friends. The gunman, a pedestrian, fired shots at the vehicle, striking her in the head. In a separate incident on Sunday morning, a double shooting near a metro stop in the Southwest Side neighborhood left one man dead and another injured, WGN-TV reported. The shooting shut down the Pink Line station for hours. Police identified the gunned down victim as a 24-year-old man and identified the other victim, a 25-year-old man, was hospitalized in critical condition, police said. Early on Saturday, at least four people were shot at a party when someone opened fire in the Englewood neighborhood, police told the Tribune. Three men were hospitalized initially, and a fourth man was later taken to Holy Cross Hospital. The most recent shooting in Chicago took place at 2:33 a.m. when a 38-year-old man was walking in the West Side Austin neighborhood when someone walked up to him and announced a robbery, police said. He was shot after pushing the suspect and running away. The suspect shot him in the foot, and the victim was later transported to a nearby hospital where his condition stabilized, CBS Chicago reported. Between Friday night and early Monday morning, 36 more people were shot, police told the Tribune.